With several countries tied in legal knots attempting to meet their promised cuts of carbon emission incentives for solar power supplies and consumers seemed a perfect way to attempt to lower carbon output whilst subsidizing a home-grown business for their economies. The ongoing financial crisis however has led to many countries either cutting or significantly reducing government incentives, meaning that the time is right to invest in solar power before the rest of said incentives are phased out. Here is a country-by-country guide to some of the best government incentives in the UK, USA and Japan not just for solar innovations for producers but also for those that make solar power more affordable for consumers. The UK governments reform of the Feed In Tariff (FIT) led to the tariff begin cut from 43p per kilowatt hour to 21p per kilowatt hour, a reduction supposedly based on falling silicon cell prices. With further cuts in the FIT planned, solar panel producers in the UK have accused the government of strangling the UK solar business. The combination of depressed prices and soon-to-be-cut-again incentives means that the time is ripe for people to invest in solar energy, as FIT is fixed for 25 years regardless of later movements in the FIT price. Investments in small-scale solar power projects, like those that heat water or underfloor heating systems, are now more than ever incredibly cost effective over the life of the solar panels. 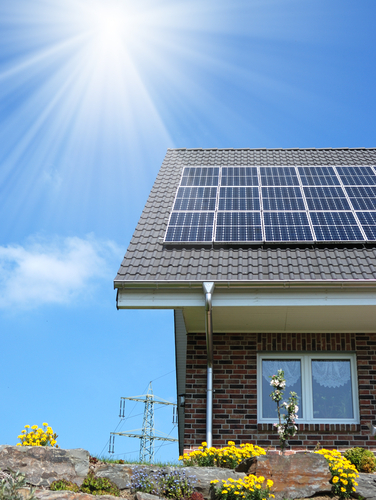 The Department of Energy's SunShot Initiative aims to reduce the costs of solar energy by 75% before 2020, and in doing so is offering a range of benefits to both producers and would-be consumers of solar power. SunShot grants are aimed at fixing current problems in the market for solar power providers. For example, Oak Ridge National Laboratory and the National Renewable Energy Laboratory were recently awarded $379,000 for a project that it set up in order to target the efficiency of solar cells. Future funding for producers includes up to $9 million for Solar Energy Evolution and Diffusion Studies amongst other grants. For consumers, there are also many incentives of which to take advantage. Along with a federal tax credit of up to 30% for residential and commercial solar systems, 27 states offer loans for solar projects as well as state tax credits, property tax credits and other financial incentives. New Hampshire and Louisiana lead the nation with programs that allow for a rebate and tax credit respectively for 50% of the cost of the solar power systems. In the wake of the collapse of the nuclear industry in Japan, more and more emphasis has been placed by the government on renewable energy and in particular solar power. Japan is a newcomer to the solar incentives market, despite having one of the higher solar production capacities in the world, but it is hoped that incentives set to begin this year will double demand for solar power in the weak Japanese solar market. The newly introduced Feed-In Tariff, set at ¥42 per kilowatt hour, will help drive down prices for consumers while at the same time subsidizing Japanese companies wishing to emphasize innovation in solar power.